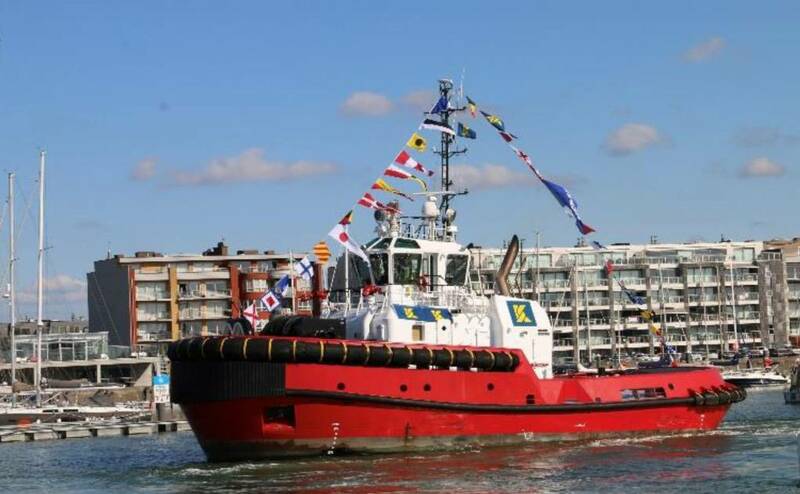 On September 13, 2018, a Damen-built tug for Kotug Smit Towage was named ‘Southampton’ at a ceremony in the Port of Zeebrugge. ‘Southampton’ is an ASD Tug 2913 and has a bollard pull in excess of 80 tonnes. 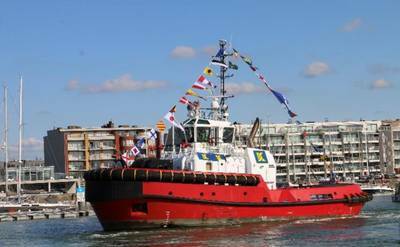 The naming ceremony of the tug ‘Southampton’ was performed by Lady Sponsor Mrs. Ariane Labargue, the spouse of Mr. Rik Goetinck, Vice President of the Port of Zeebrugge (MBZ).